Carefully designed with the highest quality cowhide leather to provide maximum support, the TWL Pro Lifting Belt delivers quality you can trust. This belt is for all of the lifters out there looking for that additional midline support while lifting heavy. Comprehensively tested, the TWL Pro Lifting belt will perform well in any session. Whether you are hitting some heavy back squats, looking to PR your deadlift or protecting that midline during clean and jerks, this belt is for you. Two loop design, with double prong to hold the belt in place. Well priced and great quality product. I've been using this belt for over 2 years now and it's still going strong. They may take a few uses to break in before they feel comfortable. A single-prong variation would be nice though, considering there is no advantage whatsoever to having a double-prong buckle, just to make it easier to put on and off. The belt is good and protects our back very well. It is usable in lifting or squad. Some other belt was uncomfortable with either activity but this belt does good in lifting and squad. Caleb A. Reviewed by Caleb A.
David F. Reviewed by David F.
Although I've never used a lifting belt before, so I have nothing to compare to, I've done moderate research on what I felt I needed. Firstly, the belt looks awesome. I love the clean leather look. It appears fairly well made and good quality, stitching is perfect. It is plenty sturdy enough for me to brace my core well through the entire movement for heavy lifts. The downsides for me is that I'm in between sizes, so I went up a size as advised. It means I have a lot of belt left to hook into the strap out of the way. I notice a couple of crease marks as I do this, but will see how it holds up over a longer period of time. 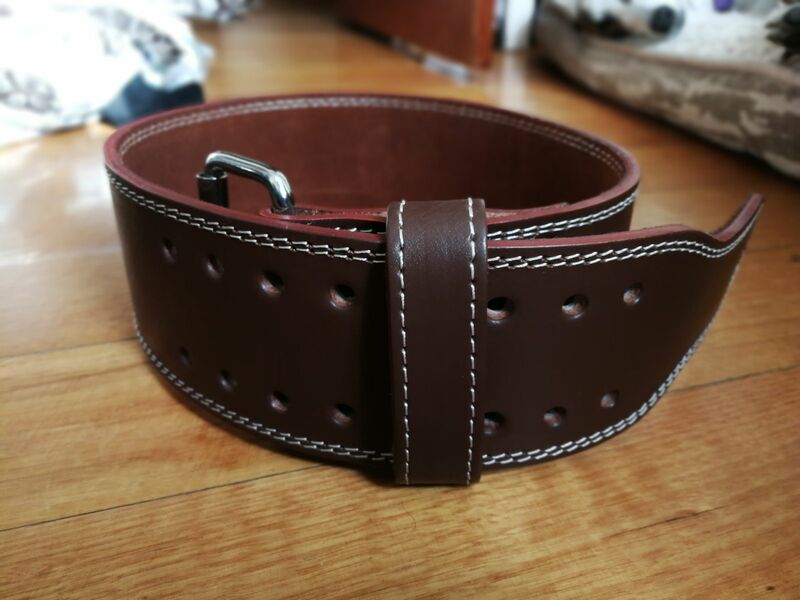 The belt does pinch when tightened a lot, but assume it may reduce as I wear the belt it. All in all very happy with the purchase, belt works really well in helping me brace the core in heavy lifts in the bottom positions. 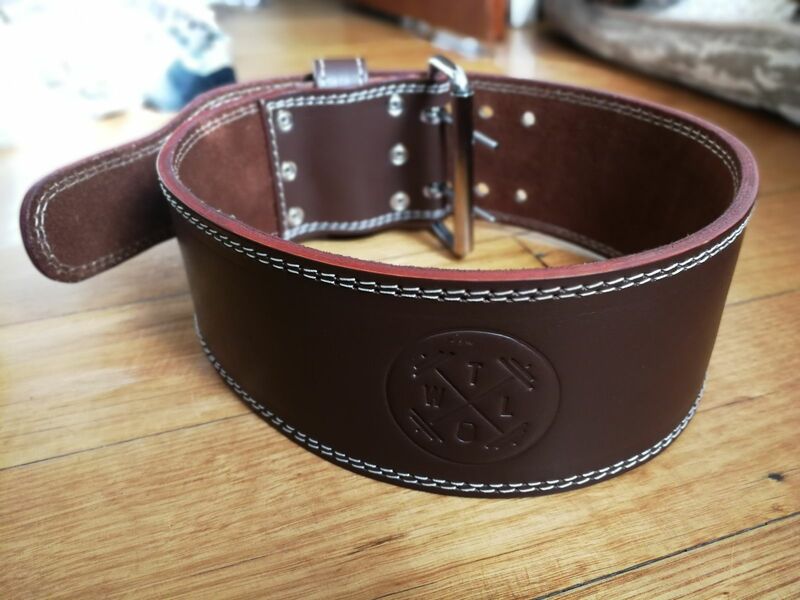 Nathan M. Reviewed by Nathan M.
I feel so much more supported in my heavy lifts with this belt on. So glad I bought it.